International SOS has revealed the results of a survey that show that businesses are unprepared when it comes to sending employees abroad, particularly in light of the increased use of the ‘sharing economy’. The survey also showed that one in five travellers now use services like Uber and Airbnb when travelling internationally for business and that 40% of travellers reported they do not know whether their organisation considers such services to be ‘safe’. Worryingly, it also found that 75% of organisations lack policies or procedures for using these services during international business travel. In response to the growing global use of these sharing economy services, and the 75% figures indicates that an organisation’s exposure is likely to increase, with almost half of respondents anticipating their use of shared transport services will grow. The company has released a report on the benefits, risks and legal considerations of using shared transport and accommodation services during business travel. Share Economy for Business Travel includes interviews with travel, legal and security experts about the implications of services like Uber and Airbnb as suitable options in an organisation’s travel policy. Both Airbnb and Uber have dedicated business travel solutions. To understand the current use of the sharing economy in business travel, International SOS conducted the survey amongst business travellers and travel managers. The survey exposed the lack of clear guidance from organisations on how, when and if the services were appropriate to be used while abroad. Additional considerations, including travel safety checklists and policy recommendations, are available in the full report available here. Travel Sharing Economy survey is an International SOS survey conducted among 707 people globally, mainly executives managing business travel or travellers themselves. Research was conducted online in the period 26 April – 20 May, 2016. 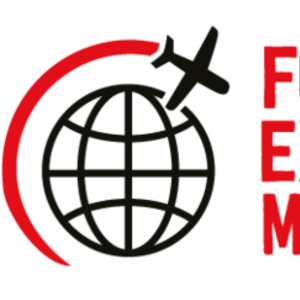 At FEM's London Chapter Meeting in October, we discussed the issue of managing business travel with speakers from KPMG and FIS. To read a report of the session, see Putting business travel on the right track at our London Chapter Meeting.